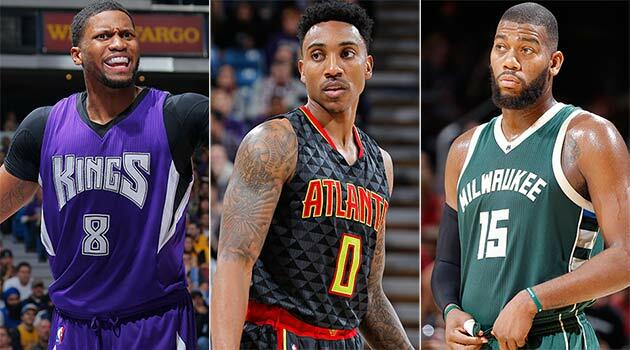 NBA trade deadline: Who could move? With the NBA trade deadline rapidly approaching, SI.com looks at the players and teams to keep an eye on. Behind the glitzy festivities of All-Star Weekend is a steady churn of the NBA’s transaction market. Executives from all around the league will descend upon Toronto with incentive to deal with a mere week remaining until the trade deadline. Everybody talks. A deal might be triggered or accelerated by conversations had over the course of the weekend or second-hand rumors passed along between team information brokers. In both respects, the weekend itself becomes more than just an extended party for players and fans. Deadline season officially begins by getting so many of the league’s decision makers in one place. With that, there is no better time to preview Thursday's deadline (Feb. 18) than the present. Plenty of names have been floated in reports and rumors over the course of the year—some clearly more plausible than others. Below we’ve amassed a list of the players and teams of intrigue in the deadline market, tempered and distilled by trade realism. Let’s dig in. Count the Hawks among those teams not quite content with their current situation. ESPN.com’s Kevin Arnovitz and Brian Windhorst reported earlier this week that Atlanta will carefully consider both Al Horford (who is a lock to get a max contract this summer) and Jeff Teague (who has been floating in trade rumors for weeks) as cornerstones of a potential deal. Not just any package will do. The Hawks are reportedly looking for more of a refresh than a rebuild—the kind of lateral adjustment that could allow them to get younger, cheaper talent without taking a dramatic step back this season. That’s a big ask for an impending free agent and a so-so starting point guard, but Atlanta is right to view the trading of its core pieces as more possibility than necessity. The Hawks could just as easily roll through the deadline with their current roster in-hand, hope to get everyone fully healthy by the playoffs, and look to challenge the Cavs and Raptors at the top of the conference. Even replacing Mike Muscala in the rotation with Tiago Splitter would go a long way, not to mention tilting the playoff rotation to favor the team’s best players at the expense of its lackluster bench. Perhaps a smaller move (like flipping third-year point guard Dennis Schroder) would be most prudent. How odd that the biggest free agent in Bucks history is already a feasible trade candidate. Monroe’s first season in Milwaukee has been a disaster, if for reasons not entirely in his control. The Bucks’ aggressive style of defense has been countered thoroughly if not solved outright. That has left its offense, which is devoid of even the bare minimum of spacing, to carry more than its share of the margin. Monroe has been an awkward fit in both respects—unable to contribute to the Bucks’ scheme in coverage and often crowded in the paint by defenders who needn’t stay honest in their assignments on the perimeter. He’s responded with a decent season all the same, though the fact that Monroe can opt-out of his deal in 2017–18 (effectively making his contract expiring in 2016–17) makes now the ideal time to gauge the market. All of the Cavaliers, Warriors, Bulls, Rockets, Clippers, Heat, Thunder, and Spurs have good reason to consider cost–cutting deals between now and the deadline. To an infrequent taxpayer just over the line (like Houston, for instance), the savings could be relatively mild. For repeat offenders (like Miami) or those deep into the tax (like Cleveland), every million dollars in salary saved might actually represent four or five million in actual savings. The Blazers, Sixers, and Jazz all currently have salary totals below the salary floor—a deficit that creates opportunity. At worst, those teams will be required to spend up to the floor ($63 million) by paying out the difference among their current players. If, however, any of those three teams take on salary at the deadline, their salary total will reflect those changes in full while they would only be responsible for paying out the prorated portion of that player’s salary that remains. An inopportune four–game losing streak at the start of February pushed the Pelicans to No. 12 in the West, now some six games behind the eighth-seeded Jazz in the loss column. Covering that margin will require more than good play; three capable teams and the Kings stand in the way of a playoff berth, the kind of competitive crowd that could get the better of New Orleans with their raw numbers. Factor in the absence of Tyreke Evans the rest of the way and everything for the Pelicans becomes incrementally harder. Should they reach a breaking point in the coming weeks, all but Anthony Davis could be on the table. 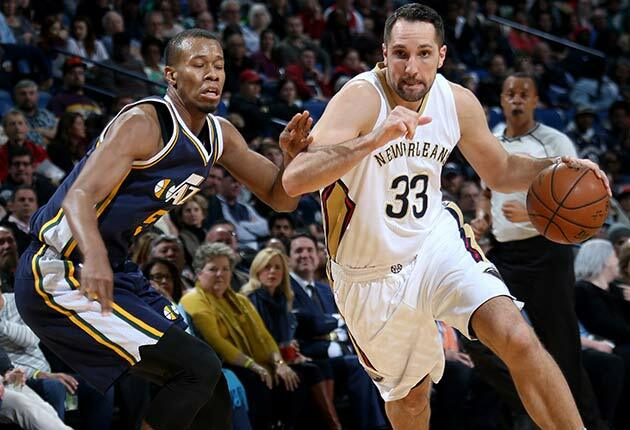 New Orleans is insistent, per Ken Berger of CBS Sports, that it isn’t pushing to trade impending free agent forward Ryan Anderson before the deadline. Maybe it should. Anderson is in line for such a considerable payday that the Pelicans would be wise to examine all possibilities. Eric Gordon, while a lesser player, is positioned similarly. New Orleans isn’t good enough to be beholden to either, opening the discussion for what they might return in a potential trade. What more do the 14–39 Suns have left to play for? Interim head coach Earl Watson has to confront that question on a day–to–day basis, but general manager Ryan McDonough has to wrestle with it in a larger sense. Markieff Morris has turned up his effort—largely since Jeff Hornacek’s firing, in what must be a crazy coincidence—just in time to remind suitors of the player he can be. Beyond Morris, however, are a number of other Suns veterans on short-range deals who could be ripe for trading. Can Phoenix really afford to deal P.J. Tucker for an asset or two? Might there be interest in Mirza Teletovic? That the Suns’ rotation is decimated by injury alters the calculus of what would make for a productive deadline deal. All indications point to DeMarcus Cousins being a lock to remain a King for the time being. Rajon Rondo, for all that he does to fill a box score, is tricky to move due to his odd game and impending free agency. This leaves Gay—a decent wing player on a fair deal—as the most mobile core piece at the disposal of a franchise desperate to make the playoffs. Should Sacramento angle to make a significant roster change for the stretch run, Gay makes for a natural point of departure. It’s worth considering how much Gay’s presence really improves the Kings’ play in the first place, if at all. Boston is an easy trade partner in hypothetical deals due to the fact that it owns four first-round picks in addition to its own, the right to swap firsts with Brooklyn in 2017, and 10 second-round picks. Beyond that, the Celtics are a team with clear needs (shot creation, talent consolidation) and plenty to offer; Jae Crowder, Isaiah Thomas, Marcus Smart, and Avery Bradley are big-time pieces; Kelly Olynyk, Tyler Zeller, and the Celtics’ younger prospects all could make for intriguing trade chips; and David Lee, Amir Johnson, and Jonas Jerebko all have perfect salary-filling deals in addition to their basketball value. 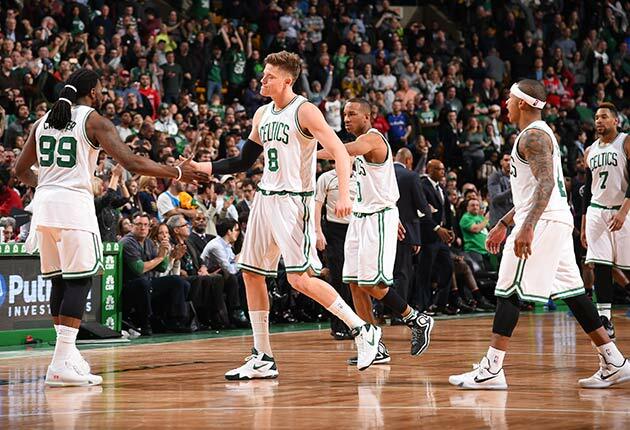 The possibilities are endless and the Celtics are interested. As it stands today, four NBA teams (Houston, Detroit, Washington, and Orlando) are within three games in the loss column of the eighth seed in their respective conferences. How desperate might they be to move up and what might they sacrifice to get there? Detroit, in particular, seems as if it might be itching to deal. The Pistons have enough expendable pieces in play to make a change if they so choose, not to mention room for improvement within their standard rotation. They also come to the table with the baggage of six straight lottery seasons. A seventh wouldn’t be the end of the world, but Detroit seems eager to stamp its progress with the validation of a playoff berth in year two of the Stan Van Gundy era.